November 2, 2010 By Paul Mayer & filed under Buying Advice, Product Review. I blame it on Norm. Ever since I saw him “shoot a couple brads to hold things together until the glue dries” some 15 years ago, I have been fascinated with pneumatic nail guns. I feel almost superhuman as I drive 2+ inch nails into rock maple in a split second, perfectly countersunk, and without splitting the stock. I have driven thousands of brads, staples and nails by this point, and I admit that I still get just a tiny rush every time I pull the trigger. With a framing nailer, finish nailer and brad nailer in my arsenal, the next logical item on my wish list was a pin nailer. I had been able to hold off because brads are small enough for most of my needs, but sometimes I find that I need to apply a bit more finesse to my project. Pin nailers provide a perfect solution, creating nearly invisible holes as they allow the fastening of extremely small parts, tacking molding pieces together, or building picture frames.My search for a good value pin nailer led me to the Porter Cable PIN100 which I purchased as part of a bundle with a Porter Cable pancake compressor, model CF6131. This bundle (model CF6131P) has a street price of around $170. At that price it was a no-brainer to pick up the bundle, providing me with a nice, compact compressor for use in the shop, as well as portability to allow me to take it into the garage or the house for various projects without having to haul my large compressor. The Compressor. I like the lightweight and compact design of this compressor. It seems to have plenty of power to fill the 6 gallon tank from completely empty to 150 pounds of pressure in about two and a half minutes, and it rarely cycled during my tests (it doesn’t take much air to drive a 23 ga. pin). Having a 150 lb capacity is a nice advantage, as many compact compressors top out in the 100-130 pound range. The support for higher pressure effectively extends the capacity of the compressor for use in nailing applications. 25% more air in the tank means more pins or nails between cycling the compressor, which means a quieter work environment and less wear and tear on the motor. I also like the maintenance free design of this unit. Generally the tradeoff for maintenance-free compressors is that the units are louder, and do not offer the comparable longevity to oil-lubricated units. My infrequent use of a compressor will probably never wear one out, and I typically wear ear protection when running a compressor anyway, so the maintenance free compressors suit me fine. If your needs require more CFM, you may need to step up to a larger compressor with an oil-lubricated pump, but for driving nails of any sort, blowing the dust off of you at the end of your shop time, or pumping up an occasional tire, pancake compressors do just fine.I have to admit that I focused more on the pin nailer when I made my final selection, and didn’t look closely enough at this compressor. I am familiar with the more common Porter Cable pancake compressor (model C2002), which has a few features not included on the unit I bought, such as a nicer carrying handle on the top, dual ports for running multiple tools simultaneously, convenient cord wrap, and a dust shroud that covered more of the components. So, lesson learned; slow down and don’t make assumptions about what is in the box. Having said all that, this unit will more than adequately meet my needs. 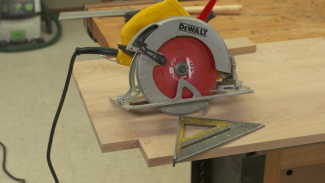 It is powerful enough with an ample sized tank for running all of the nailers in the shop, and light enough for mobility. No, you are not going to run your pneumatic sander off of this compressor (or any other pancake-style compressor), but you are also not going to hear it running constantly as you shoot pins, brads or other nails. Also, the 25′ hose that is included is of moderate quality but certainly sufficient for pin nailing operations. As with every tool I buy, I gave this one my standard “monkey test”. Can I take the tool out of the box and have it up and running within two minutes without looking at the manual, and without needing any tools or materials that are not found in the box? The compressor passed with flying colors. I fired it up and let it run for a few minutes with the drain valve open to bleed off any moisture that accumulated in the tank during shipping/storage. Then I closed the valve and watched the gauges as the tank steadily and quickly filled to its maximum capacity of 150 lbs, and then the motor cut out as expected. I was pleasantly surprised at how quiet this compressor is. No, it is not quiet compared to a kitten, but relative to my larger compressor, and most other maintenance free compressors I have used, it is not bad at all. The bleeder valve on the unit is pretty standard faire, which means it can be difficult to turn by hand, especially if you have neglected it for a while. I think a nicer design would include a larger surface to grab, making it easier to apply a bit more leverage if it gets a bit gummed up inside. The Pin Nailer – Nice design. At only 2.2 pounds, the PIN100 is light enough for easy handling, but yet feels well made and all moving parts engage solidly. It just plain feels good in your hand. The magazine holds a whopping 170 of the 23 ga. pin nails (1/2″ to 1″), and the unit comes with a box of 500 3/4″ pins to get you started. In lieu of a contact safety tip, the unit uses a double trigger design to minimize the chance of misfire. This design enables precise placement of the firing tip in tight spots, which is problematic with larger nail guns in the Porter Cable line that feature a contact safety tip that must be depressed before the gun will fire. For most nailing operations, I would prefer the contact safety tip design because it is easier to operate. But, when it comes time to get into a tight corner, the double trigger design pays dividends. Pins vs. Brads vs. Finish Nails. If you have come to enjoy brad or finish nailing, and are accustomed to filling in the holes left by 18 gauge brads, you will be astonished by the tiny hole left by a pin nailer. These holes are so small I won’t even bother filling them in most cases. When necessary I will likely wet sand another coat of finish as I apply it to fill it with a bit of sanding slurry. But for most applications, no fill will be necessary. Pins. The pin nails are clearly marked with an arrow to indicate the loading direction, which is handy because with headless pins it is nearly impossible to tell which is the “working end” without an indicator. Ready, aim, fire. Firing the pin nailer is easy. Put the tip where you want the pin, pull both triggers back and “pop”. Given the small pin size and tight construction of this gun, there is very little noticeable recoil. Also, given the fine firing tip, precise pin placement is easier with this gun than with larger nailers. I ran a lot of pins through the gun. I fired pins into oak, maple, pine, MDF, birch plywood, and a couple other things I shouldn’t publish, and the PIN100 performed flawlessly in all cases. It slightly countersunk every time, with best performance when I kept the air pressure around 100 PSI. In only a couple cases, I had to pull out a small nail punch and manually countersink. Also, I ran a couple hundred pins through the gun and did not experience a single misfire or jam. Recommendations. This pin nailer is exceptionally well made, a joy to use, and a great value for the money. I like the compressor, but as I said earlier, I was disappointed in the lack of “extras” with this unit compared to the more common Porter Cable Model C2002. I suspect that this unit was made specifically for this combination bundle, and was limited in features to avoid cannibalization of C2002 sales, and to keep the price point down on the bundle for sale through home centers and specialty woodworking stores. Overall my assessment is that this bundle is a great value for $170, and I feel very good about the investment. looking for finish nailer to install 3/4 inch oak trim. 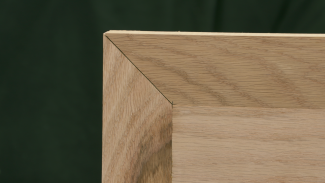 people I have talked to say that the only way I can install oak trim is if I pre-drill each hole, hammer the nail to about 1/4 inch and finish it by using a nail-punch to set it below the surface. does porter cable have something that will work? if so, what size nail (15,16, or 18 ga.) and will the 150psi pancake compressor do the job, and if so, at what pressure should the compressor be set at ? Hi Richard. If you are tapping in nails by hand, then yes, you should pre-drill to avoid splitting. 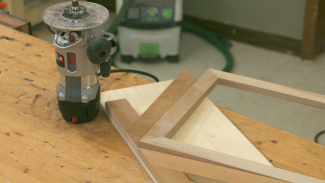 There is no reason that you need to pre-drill if you are using an air powered nail gun, however. Any brand of nail gun should be adequate for this. I have had good luck with my older Porter Cable gun, but if I were buying today I would also look at Senco, Dewalt and Hitachi as well. 150 PSI is more than adequate for this. 100 – 110 is all you really need. 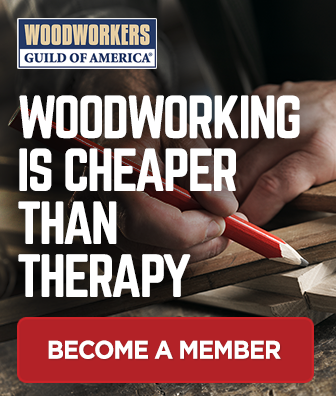 18 gauge is normally what I use for trim, but for thicker trim like yours I would use 15 gauge, especially if you are nailing through drywall which will require some additional length.